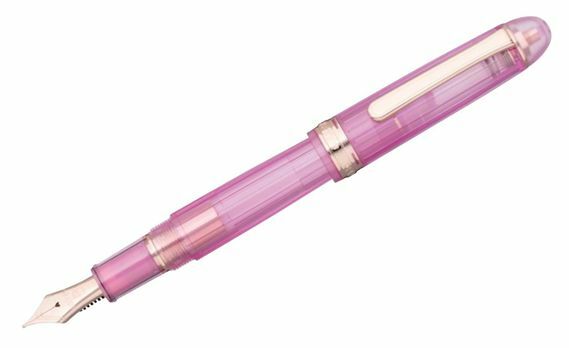 Order your Platinum Lilas 3776 Century Demonstrator Fountain Pen today from FahrneysPens.com. Fine Pens, Refills & Luxurious Gifts – great prices & fast shipping. Platinum takes you to the south of France with its wonderful ‘Nice’ collection honoring the famous resort town on the Cote d’Azur. 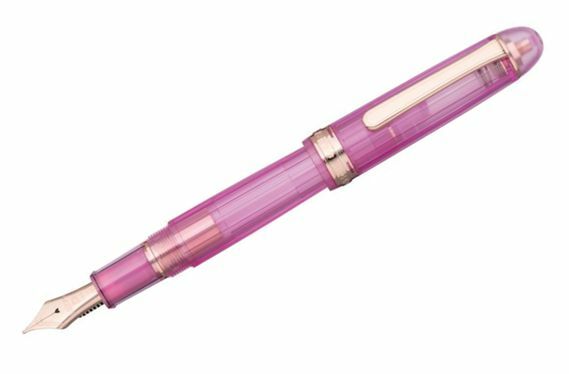 Its popular 3776 Century demonstrator fountain pens are adorned in beautiful colors inspired by the region’s famous flowers. ‘Lilas’, the French pink lilac flowers, gently blowing in the early summer wind, are expressed through a sandblast finish applied on the transparent resin barrel with cut grooves at precise angles. 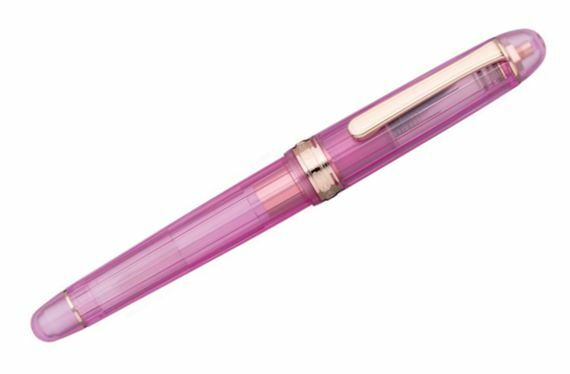 The see-through demonstrator fountain pens are further enhanced with warm rose gold-plated accents including the solid 14K gold nib crafted in Japan. 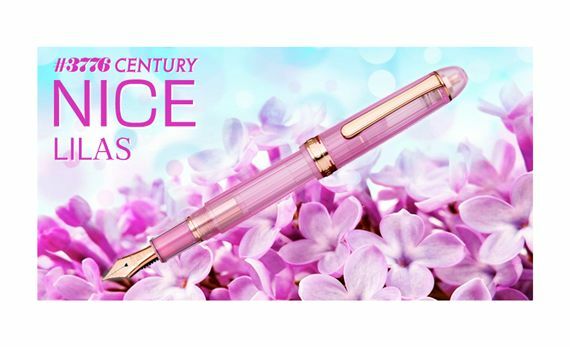 The Nice 3776 Century pens feature Platinum’s patented ‘Slip and Seal’ cap - the unique mechanism rotates each time the pen is opened or closed, making it airtight to protect against evaporation and leaks. Lilac symbolizes friendship, memories of adolescent, innocence and first love, pride and beauty. Cartridge/converter fill. Converter included.